Fusco was named Director of Athletics at Sonoma State University in May of 1997 and guided the program into the era of athletic scholarships and the California Collegiate Athletic Association. During his tenure, the Seawolves earned two NCAA Division II national championships (men's soccer 2002 and men's golf 2009), eight regional championships and 20 conference championships. Seventy-six student-athletes earned All-American honors the past 20 years. 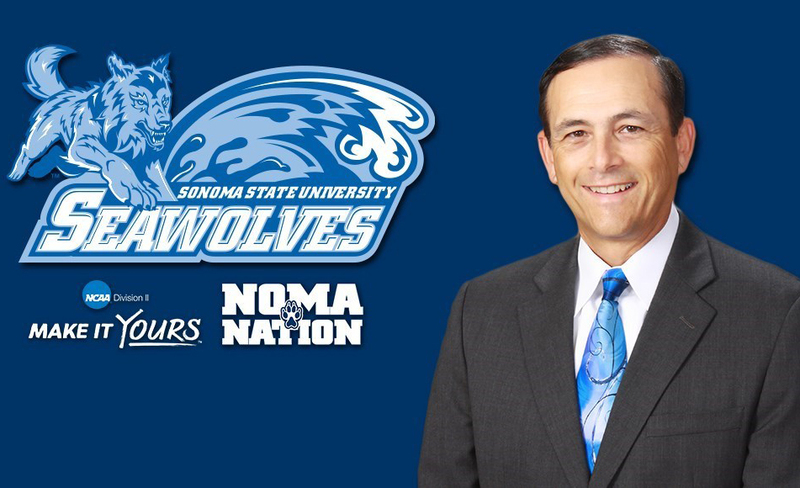 "During Bill Fusco's 20 year service as Sonoma State's Athletic Director, our intercollegiate athletics program has grown in both size and reputation" says Stan Nosek, interim vice president for Administration and Finance. "Bill has been a strong advocate for a student centered athletic program that focuses on success in the classroom as well as in competition. He led a program that has resulted in SSU being at or near the top of our league in student-athlete grade point average and graduation rates. His commitment to both academic and athletic excellence has been unwavering over his tenure and is a legacy for which he can be very proud." "I am most fortunate to have had the opportunity to spend the last 20 years at Sonoma State University," says Fusco. "It has been an honor to work alongside our exceptional student-athletes, coaches and administrative staff. I am looking forward to completing several projects that will help stabilize and enhance the intercollegiate athletics program for the future before I leave." Under Fusco's leadership, the department, as part of the Administration and Finance Division, acquired funding for many on-campus sports facility upgrades including tennis, soccer, baseball, softball, a women's sports team room and most recently $1.1 million for new seating in basketball gym, known as the Wolves' Den. The new Gordon Smith Training Center, an indoor batting cage and locker room facility for the baseball team was funded by a $1.3 million gift to the program. Over the past 20 years, the Seawolves have improved significantly in the classroom achieving academic excellence, most recently with the 14 teams averaging a 3.0 grade point average in 2016-17 and with 84 student-athletes earning All-Academic honors with a 3.4 grade point average or higher. Fusco led an effort through a successful student fee referendum to add the sports of women's water polo and men's golf in 2003. He gained approval to add women's golf in 2007 and in 2013 was able to reinstate women's track and field as the Seawolves' 14th intercollegiate sport. Fusco was named the Under Armour Athletic Director of the Year by the National Association of Collegiate Directors of Athletics last year. He was one of only 28 leaders from across the country to be recognized, and only one of four from the NCAA Division II classification. As President of the NCAA Division II Athletics Directors Association, he helped develop the Division II Model Athletics Department, a program that establishes the guiding principles of operating a Division II intercollegiate athletic program. From 2012-14, Fusco served as a mentor in the NCAA & Division II Athletic Director's Association Women and Minorities Mentoring Program -- "Mentoring Tomorrow's Leaders". A timeframe for a national search for a new director will be determined at a later date.